Mark your calendar. The Bonner Springs Rotary Club is making an impact on our community! Join us Friday, April 4th for Greater Kansas City Day (Paper Day). 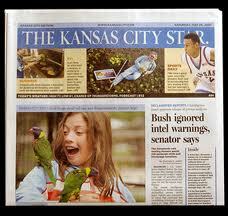 Members are selling Kansas City Star newspapers on the main corners in Bonner Springs in the morning. The funds raised will support the Bonner Springs YMCA youth scholarship fund. Monday, April 21st Rotary will award three $1,000 scholarships to Bonner Springs High School students at the Rotary Scholarship Awards Ceremony and Dinner at Tall Oaks. 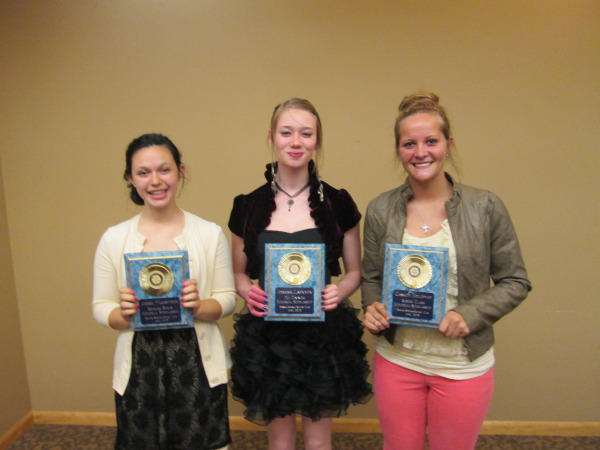 Scholarship funds are raised through various local fundraisers by the Bonner Springs Rotary Club. Saturday, August 23rd at 7 a.m. is the 36th Annual Bonner Springs Rotary Tiblow Trot 2 Mile Walk and 5 Mile Run. Register online now. Meet at Kelly Murphy Park at 2nd and Elm Street in Bonner Springs, KS. All funds raised go toward scholarships and the Rotary’s Polio Plus Program to end Polio worldwide. Interested in volunteering for the Bonner Springs Rotary? We need your help! Contact us today. This entry was posted in Fundraisers, Rotary Programs, Rotary Scholarship Program and tagged Annual Bonner Springs Rotary Tiblow, Bonner Springs 36th Annual Tiblow Trot Run/Walk, Bonner Springs High School, Bonner Springs High School Students, Bonner Springs Rotary, Bonner Springs Rotary Club, Bonner Springs Rotary Scholarship Program, Bonner Springs YMCA Youth Scholarship Fund, Bonner Springs YMCA on March 27, 2014 by Bonner Springs Rotary Club.